This unique item features Pittsburgh Penguins star forward Sidney Crosby's game used stickblade. 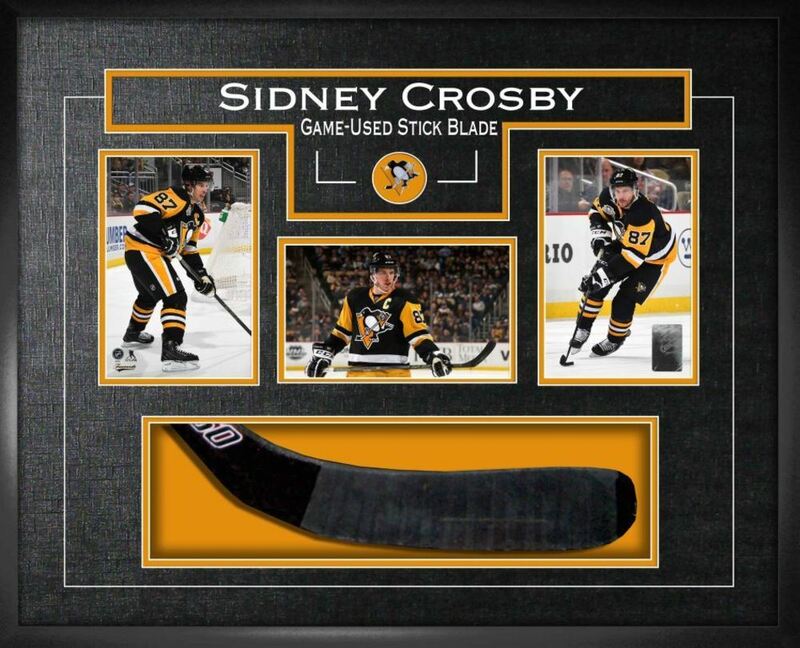 The frame includes the game used stickblade and three 4x6" action photos of Sid. The game used stickblade and photo collection have been professionally set in Frameworth's renowned black frame with laser etched matting and a decorative v-groove. The item comes with a Frameworth Sports Marketing hologram and Certificate of Authenticity. Each COA contains the date in which that particular stickblade was game- used by Sidney Crosby. FINISHED APPROX SIZE: 23" x 19".